Mickey and his pals invite everyone to the Mickey Mouse Club House. A pair of “Mickey Ears” help show the way. 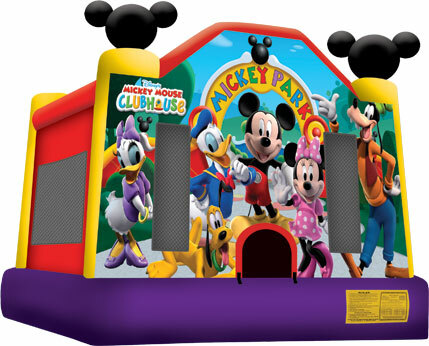 This jump features Mickey, Minnie, Daffy, Daisy, Goofy, and Mickeys faithful pup Pluto…. perfect friends for kids to jump alongside all day!